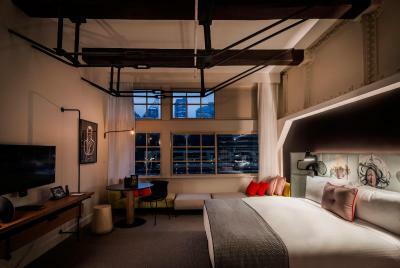 Lock in a great price for Ovolo Woolloomooloo – rated 9.3 by recent guests! The staff went above and beyond to make our experience great. 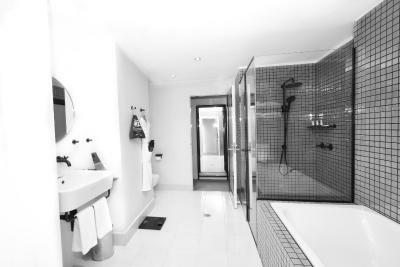 The facilities of the hotel were amazing and it was in a perfect location. 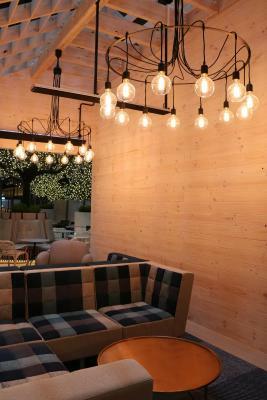 The hotel has a young hip vibe to it, the staff there are all amazing- everyone seems like a friend that you would have back home, it doesn’t feel corporate, the rooms have a lot of nice touches to them and the beds are comfortable. I’ve stay here because and it continues to be a solid experience. 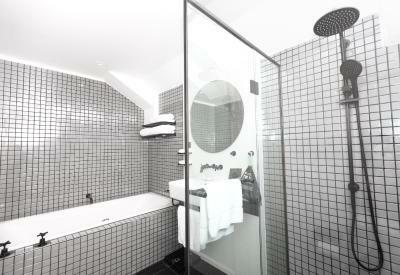 The rooms are nice and the little cation is ideal for anyone interested with walking in the city. Breakfast was lovely. Staff very friendly & helpful. Location is beautiful & the room was huge and comfortable. 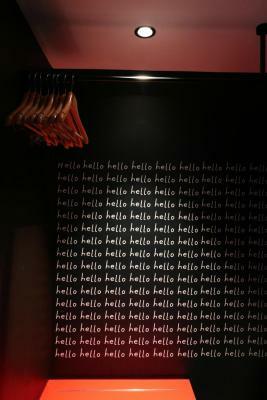 Staff was awesome, room was big and comfotable. 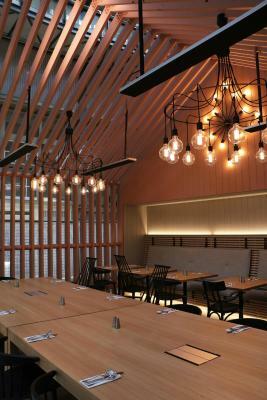 The restaurant was awesome with great food. Olga at the bar was a delight. The rooms are excellent. I especially like the little touches like the bag of goodies and the tote bag for taking sunscreen, a beach towel and other items when you are venturing out in the city. 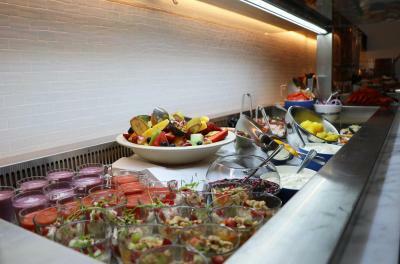 The location of the hotel is excellent and the attentiveness of the staff is very good. They make you feel very welcome and at home. 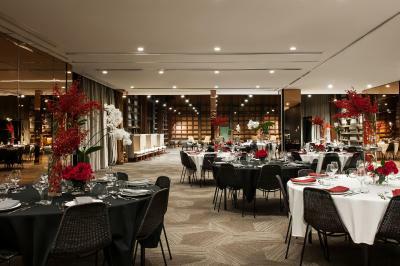 The rooms a individually decorated and are a very pleasant departure from the cookie cutter decor in the larger chains. 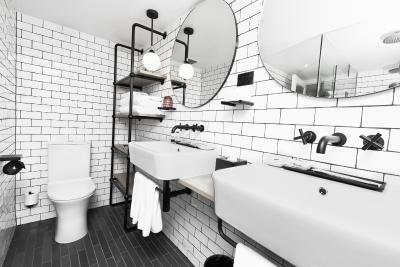 I highly recommend Ovolo Woolloomoolo to anyone visiting Sydney for business or pleasure. 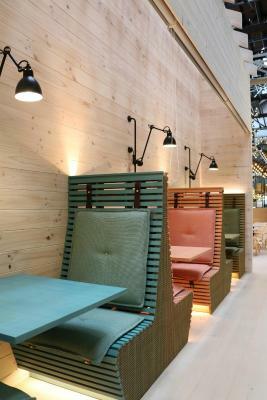 Location is great, wonderful breakfast. Room amenities are very good, including Alexa and an iPad. Rooms are large and spacious with the most comfortable beds. Funky, clean and great spot. Bar and drinks were great. They have s pool table and good old fashioned arcade table games. 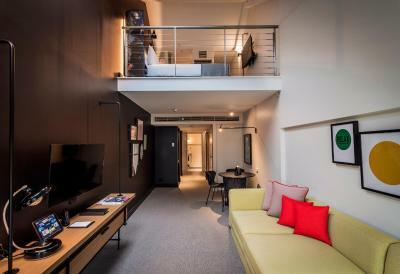 Ovolo Woolloomooloo This rating is a reflection of how the property compares to the industry standard when it comes to price, facilities and services available. It's based on a self-evaluation by the property. Use this rating to help choose your stay! 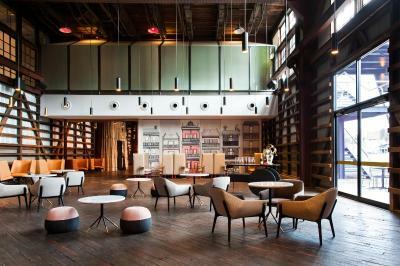 Ovolo Woolloomooloo is a 5-star hotel located in Sydney. 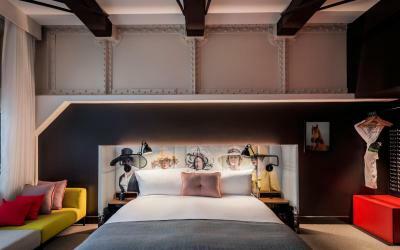 All accommodations offers an iPad and unique historic fittings. 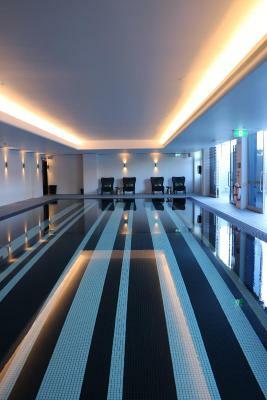 Guests enjoy an indoor pool and a fitness center. 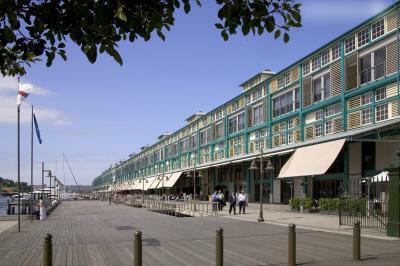 The hotel is located in Woolloomooloo, next to the Royal Botanical Gardens. 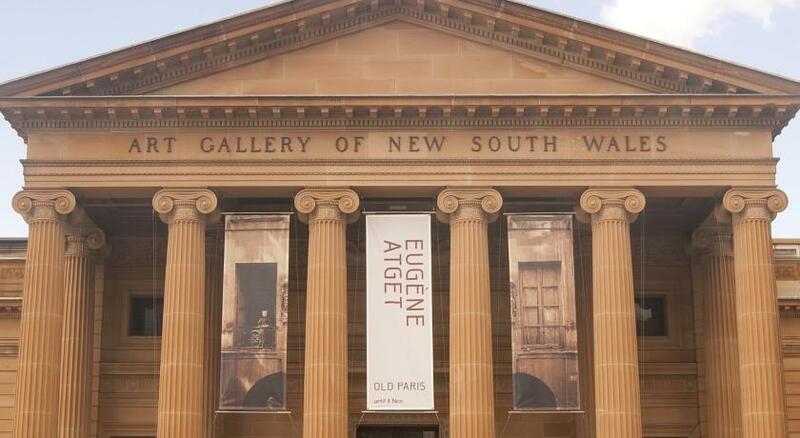 It is a 15-minute walk from Sydney Opera House. 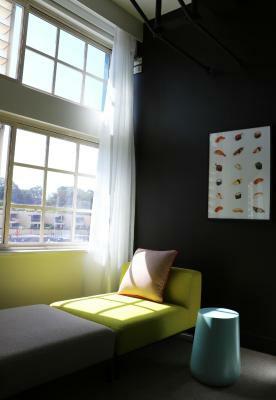 Accommodations options include private rooms and loft suites. 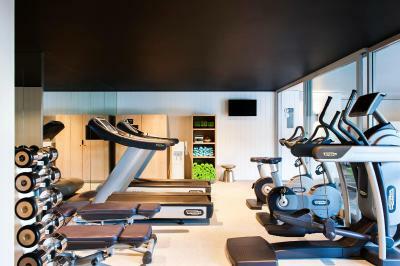 All rooms and suites include a free mini-bar, free WiFi, access to a fitness center and pool and free self-service laundry throughout the stay. 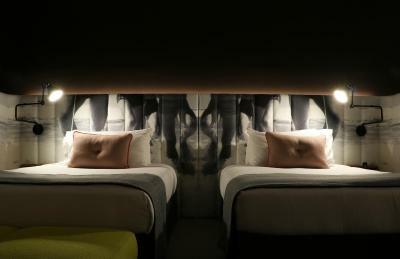 Each features ultra-modern furnishings, a LCD Smart TV and luxurious bedding. 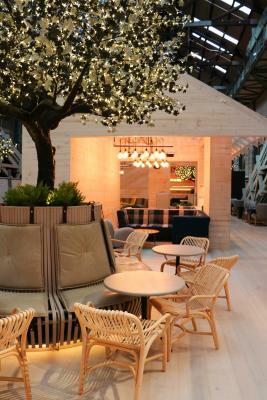 The Lo Lounge is a sleek multipurpose social area designed for hotel guests to work, network or simply kick back and relax. 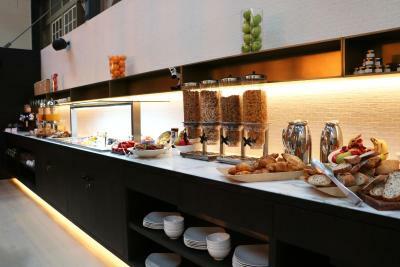 Available 24-hours a day, guests can grab coffee in the morning and enjoy all-day nibbles and refreshments. 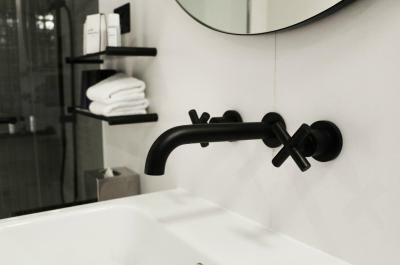 Guest facilities include a personalized concierge service, in-room massages and a valet laundry and dry cleaning service. Daily newspapers are also provided. 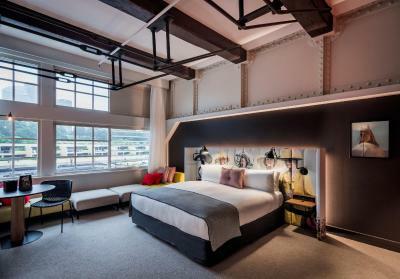 When would you like to stay at Ovolo Woolloomooloo? 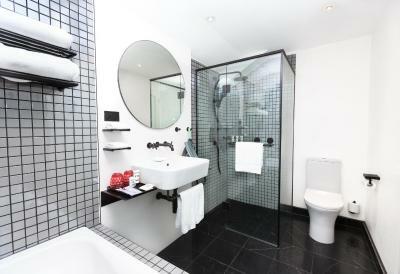 This room includes a 27-inch flat-screen TV, an iPod docking station and a modern bathroom. Public parking is available on site (reservation is not needed) and costs AUD 60 per day. 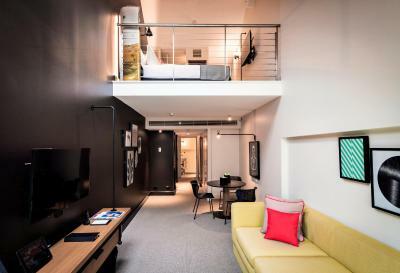 This split-level loft suite features a downstairs living area with a sofa, a 27-inch flat-screen TV and an iPod docking station, as well as a work area. 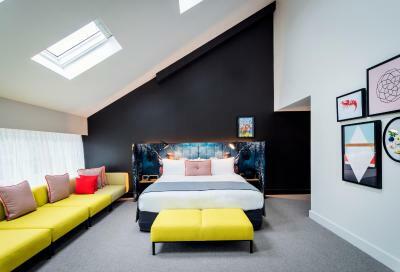 The upstairs bedroom offers a king-size bed and bathroom with a shower only. 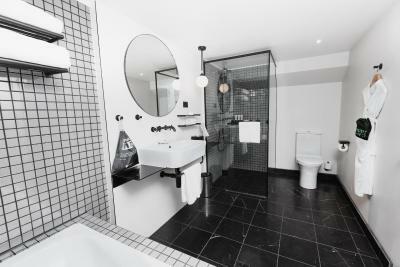 All feature gorgeous views of the Sydney city skyline. 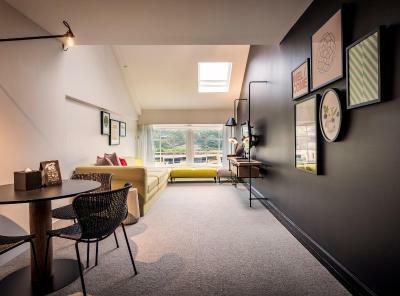 This split-level loft suite features a downstairs living area with a sofa, a 27-inch flat-screen TV and an iPod docking station, as well as a work area. A coffee pod machine is also offered. 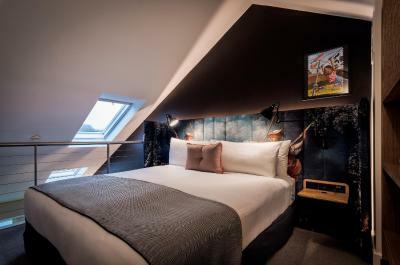 The upstairs bedroom offers a king-size bed and bathroom with a shower only. 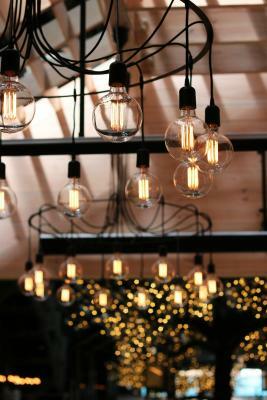 Most have heritage windows and skylights, but some have skylights only. 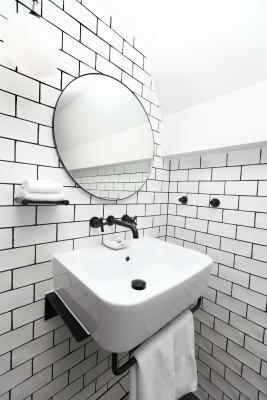 This room includes a 27-inch flat-screen TV, an iPod docking station and a modern bathroom. 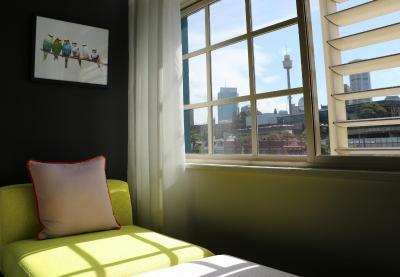 All rooms feature gorgeous views of the Sydney city skyline. 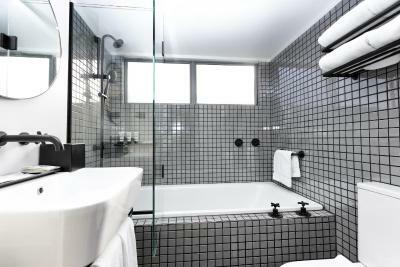 This room includes a 27-inch flat-screen TV, an iPod docking station and a modern bathroom with a shower. 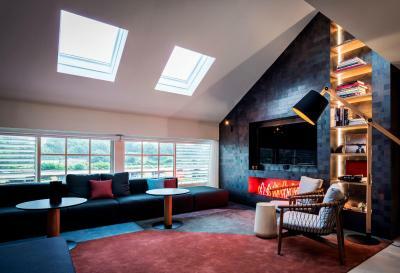 Some rooms have skylights only. 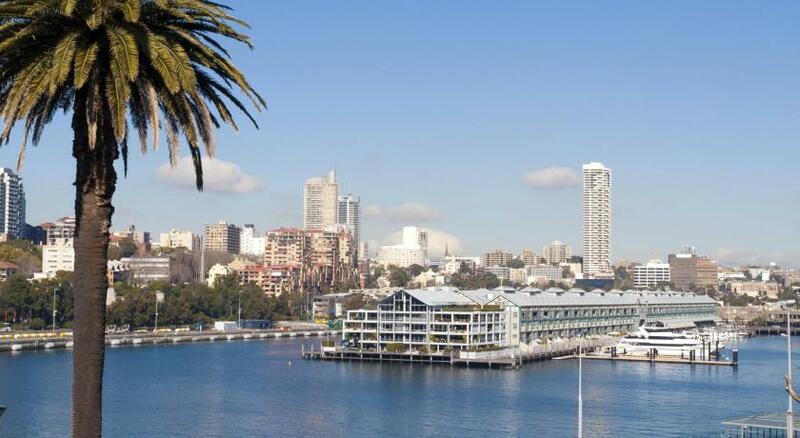 This generously sized, split level loft has gorgeous wharf and city views. 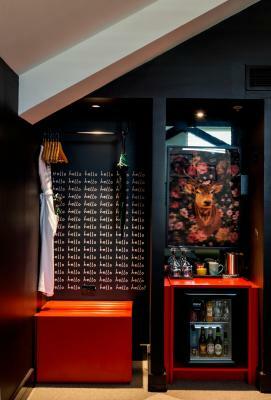 It has an in-room circular shaped cocktail bar, lounge area and rock 'n roll theme. 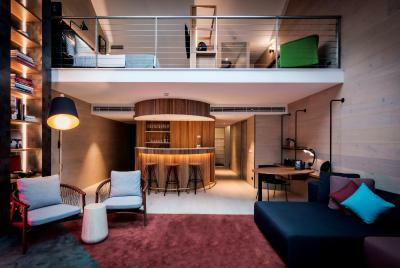 Heritage meets modernity at the Ovolo Woolloomooloo. 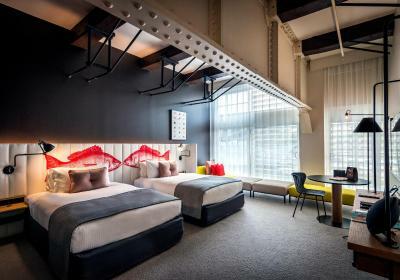 Housed in the 100-year old finger wharf, Ovolo Woolloomooloo is testament to what today’s hotel should be about in both design and hospitality. 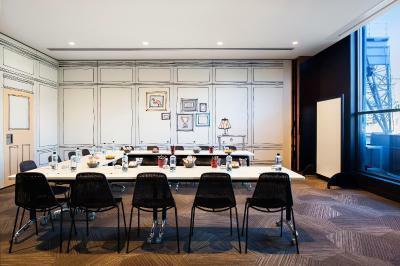 With 100 uniquely designed guest rooms, a multifunctional “Lo Lounge” created to cate to any and all guests, as well as a suite of freebies to make every stay effortless, Ovolo Woolloomooloo is a property guests can and will continue to joy from check-in to check-out. Imagine it as a suite little escape from Sydney, just minutes from CBD. You can walk to the famed Circular Quay or Oxford Street in minutes. Or just borrow the hotel’s bike to get your way around. 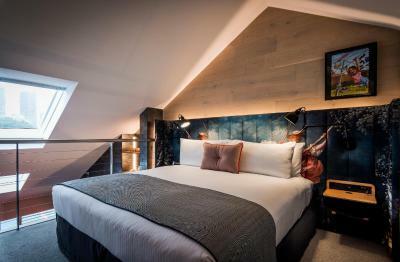 No-matter how you do it, staying at Ovolo Woolloomooloo is an experience hard to forget anytime soon. 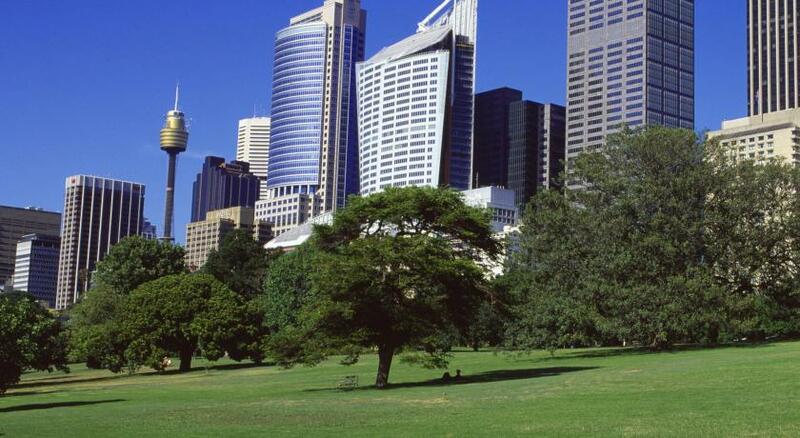 Hotel surroundings – This neighborhood is a great choice for travelers interested in botanical gardens, walking and city walks – Check location Excellent location – show map Guests loved walking around the neighborhood! 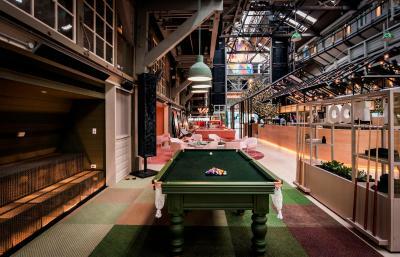 House Rules Ovolo Woolloomooloo takes special requests – add in the next step! 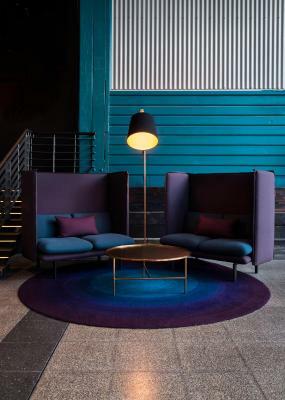 Ovolo Woolloomooloo accepts these cards and reserves the right to temporarily hold an amount prior to arrival. 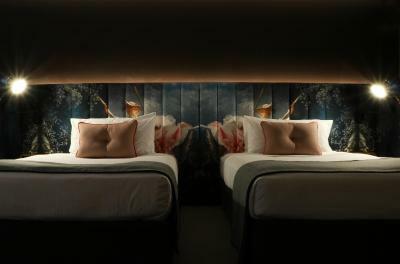 Please note for bookings of more than 10 rooms or 20 room nights, different policies and procedures may apply. For further information please contact the property in advance, using the contact details found on the booking confirmation. 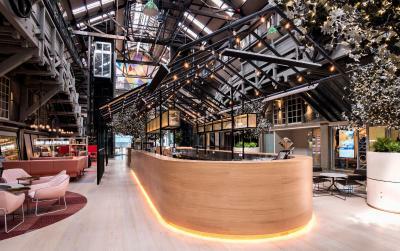 Please inform Ovolo Woolloomooloo of your expected arrival time in advance. You can use the Special Requests box when booking, or contact the property directly using the contact details in your confirmation. 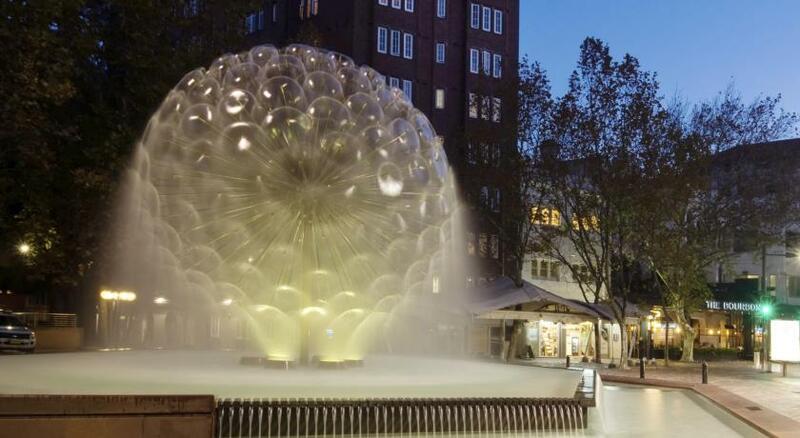 Full games for kids and free washing facilities. Gym was a bonus. Booking was wrong from booking.com and booked us in for previous night even though 100% the internet history shows 12th april. Hotel charged us extra. Plus $70 for breakfast then you have to pay extra for coffee or hot breakfast! Spacious, cool, and all the free stuff! 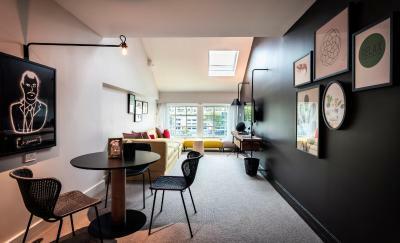 From the bag of snacks, to the yoga mat, to the laundry facilities, everything to make your stay comfortable had been thought of. Staff were super efficient and friendly. 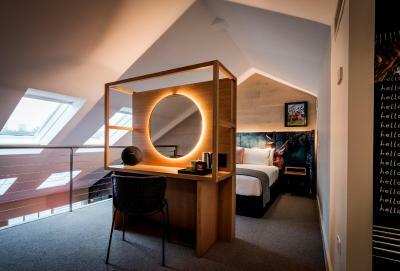 Loved the loft suite arrangement. They upgraded us for our one year anniversary and had a little card and cake which was very impressive!